On behalf of the men and women of the Aylmer Police Service, welcome to our website. We have a proud 131 year history of dedicated policing service delivery to our Community and residents. Our service is diverse with a goal of providing the highest quality policing service. We will strive to build upon our past successes and implement future strategies that will result in efficiencies, reduction in crime, and best practices. In order to achieve this, Aylmer Police Service is dedicated to annual re-evaluation of our policing needs in partnership with our external and internal partners as well as planning for our future needs through our strategic three year planning cycle. Our continued collaborative efforts will ensure our success in keeping our communities safe. Thank you for your continued support and interest. I trust this site will provide you with the information you are looking for, however, should you have any questions, please feel free to contact us. The Aylmer Police Service shall continually strive to protect life and property. We shall dedicate ourselves to providing a courteous and quality service that will be responsive to the needs of the community. The Aylmer Police Service is committed to professionalism and the service provided will be synonymous with excellence. 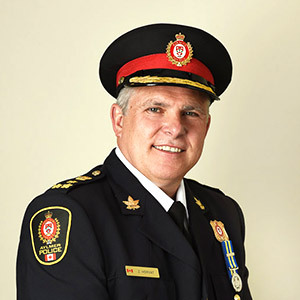 We, the members of the Aylmer Police Service, are committed to excellence in law enforcement and are dedicated to the people, traditions and diversity within our community. In order to protect life and property, we will provide service with understanding, response with compassion, performance with integrity and law enforcement with vision to the future. In order to view Our Organizational Chart displays the structure of how our employees and volunteers serve you. The Aylmer Police Station has a 125 year long and proud history of serving Aylmer, Ontario.